The site of the current Princess Alexandra Hospital has a rich history of health care spanning over one hundred years. The hospital now has an on-site museum, open to the public, which collects and documents key artefacts relating to the history of the hospital. 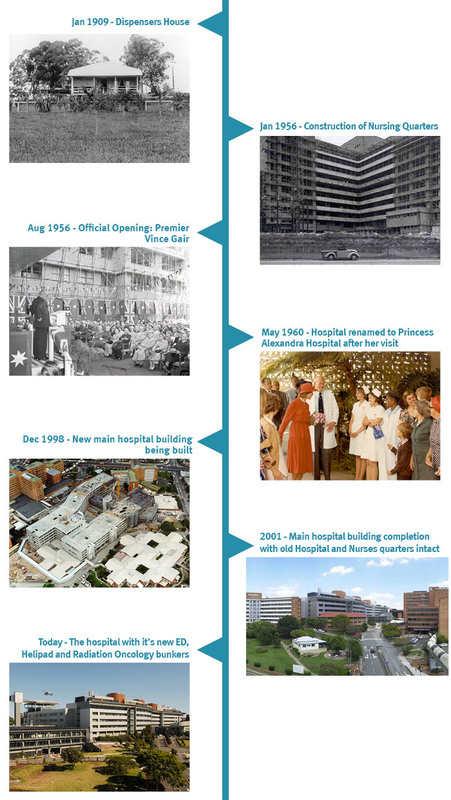 2006—Golden jubilee of the Princess Alexandra Hospital's opening in 1956.